Little Summerhill Cottages01782 550967work01782 550967fax Self-cateringLittle Summerhill Cottages is a small development of three converted barns. Situated off the beaten track in the Staffordshire Moorlands yet only 1 mile from the A52 between Alton Towers and Stoke on Trent, our four star, one or two bedroomed cottages offer a cosy relaxing break or an interesting base for exploring the area's many attractions. Little Summerhill is a working farm with the usual hazards of animals and machinery.There are galleried bedrooms in Chestnut and Oak cottages which most children love but please consider their suitability if you are booking with children. If in doubt please ring and ask. Chestnut Cottage is also rated suitable for the elderly and less mobile but if you have any access requirements not mentioned on the website again please ring us. Payment can now be made through Kashing! A £50 deposit is required to confirm the booking and the balance will be taken 7 days prior to arrival. If the booking is made within 7 days of arrival the full amount will be taken. Working smallholding with pedigree Limousin cattle, 2 miles from nearest village and pub serving good food. Service station within 2 miles selling auto gas and wide variety of goods. 5 miles from nearest town (Cheadle) with historic churches, market place, shops and tourist information. Horse riding, steam railways, golf, paintballing, corporate events, nature reserve, leisure centre all within 5 miles. Within 10 miles of the Potteries and Leek, 15 from Alton Towers and on the edge of the Staffordshire Peak District. Shops 3 miles away Children welcome from any age. solid stone but not smooth. we live on a working farm. 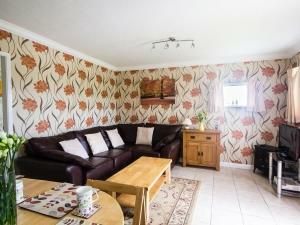 All our cottages are designed with the less mobile in mind. Floors are tiled and mats can be removed if required. Taps however are not levered and there are no grab rails. Oak is accessed by a long ramp. There is a fixed handrail beside the ramp The gallery bedroom has its own seating area.. We are usually available to greet our guests, explain the facilities or generally provide whatever assistance we can to make your stay enjoyable. If you have any queries, please contact us and we will do our best to help.